Donald Trump has emerged as a legitimate candidate for the GOP. 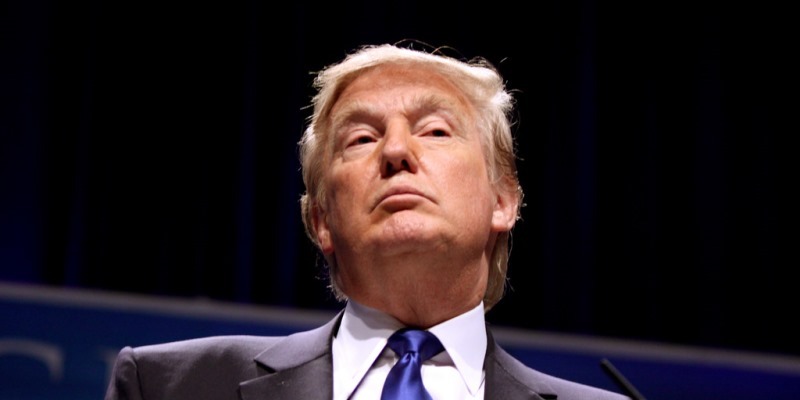 The latest poll has Trump leading the Republican field with 25 per cent. What is interesting, however, is that Trump's policies could probably be best described as "economic nationalism"—protectionist, public works, strong central government, tight on immigration. These are often hallmarks of liberalism, not Republican conservatism. Admittedly, getting a true sense of Trump's positions is difficult. Still, he has criticized trade partners like Japan, China and others, even suggesting potentially rolling back some provisions of NAFTA. While Trump's concern for "fair trade" primarily targets developing countries, moves to affect trade deals may ultimately impact Canadians as well. Trump has praised Canada's universal health-care system, though he has recently come out in favour of repealing and replacing Obamacare. Trump doesn't want to cut Social Security or Medicare, two of America's largest entitlement programs. Reducing the size of government appears unlikely when one plans on ignoring almost 40 per cent of the budget. Trump has also been criticized for using government as an instrument for appropriating private property. Is Trump's appeal to the GOP a protest against the establishment? Is it sincere support? Does the GOP just want a winner? It seems it's precisely because of Trump's relatively populist, Democratic platform that he would make a formidable candidate in a general election. Perhaps the biggest component to Trump's appeal among GOP voters is immigration. It appears many Americans of all political stripes are frustrated with, what they believe to be, an unfair and inefficient system, and believe only a maverick like Trump could do anything to improve it. Currently, there are 12 million immigrants in the United States illegally. An ongoing policy question is: what, if anything, to do about it? The recent death of Kate Steinle in San Francisco has further enflamed the issue, with the suspected killer having been deported five times. The issue of immigration is very complex—it incorporates economic, social, religious, political and historical dynamics—and U.S. laws reflect that. At its root, immigration policy seems to answer the fundamental question: what does it mean to be an American? The last 10 years have brought about significant social and demographic change, and there appears a large element of America that wishes to resist it. In this respect, it's not immediately clear that immigration is necessarily a partisan issue. Again, a populist like Trump may have quite a bit of cross-political appeal. Along similar lines, Trump has also covered himself with traditionalists and Christians by firming his pro-life stance—a litmus test for many Americans. He was born and raised Protestant, appearing proud of his faith and sympathetic to the role of the church, yet not so zealous as to alienate more moderate voters. So where does that leave the GOP? America's place as a free market, dynamic economy is faltering, with the U.S. now ranking as the 16th most economically free country in the world. The Republican field of candidates is rich in small government and libertarian-leaning conservatives, who would seek to reverse this trend. The name "Trump" seems to inspire images of unfettered capitalism, booming industry and wealth. Yet Trump's actual policies will likely serve to do the complete opposite.